Just in Time for Halloween: The Death Tour – Tell my story. When I was in Pensacola, I had a list of places I wanted to visit, and as I put the list together, I realized I had a theme going — so, I decided to give it a name: The Death Tour. Apropos as we near Halloween. This is the last house where Emmett lived in Pensacola, in 1918. It was new that year; the Kehoes were renting it. Walter Kehoe was in Washington, D.C. Emmett was living there for a little while, until he was either kicked out by the Kehoes, or, removed himself to the San Carlos Hotel. 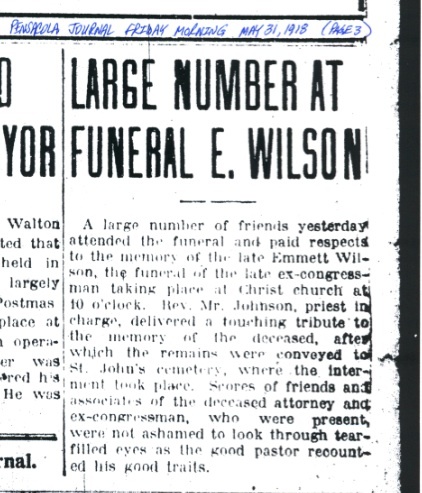 After Emmett died, he was brought here the day before his funeral, and (according to The Pensacola Journal), many people came by to pay their respects. Jacki Wilson of the Pensacola Historical Society reached out to the current residents to request permission to see the house. I left a voice mail, but there was no response. I don’t want to bother people who don’t know me; I get it that some folks may be uncomfortable with me seeing a house where a loved one had a funeral (which was common back in Emmett’s day for the body to lie in state at home). It is a beautiful home. I don’t know if the interior is unchanged from 1918, but the from the street, it appears mostly unchanged; you can tell it is well loved. I drove by a few times to try to get a feeling for it. It is a large home, but the parlor where Emmett would have been laid out might not have been able to hold dozens of people at a time. The Pensacola Journal didn’t provide the number of visiting mourners, but if at least 50 people showed up, the porch would have accommodated the group. The current residents may feel more comfortable responding if I reached out in a traditional snail-mail letter. I’m going to try again, of course. “No” or ‘no answer’ hasn’t ever been much of a deterrent in this research project. 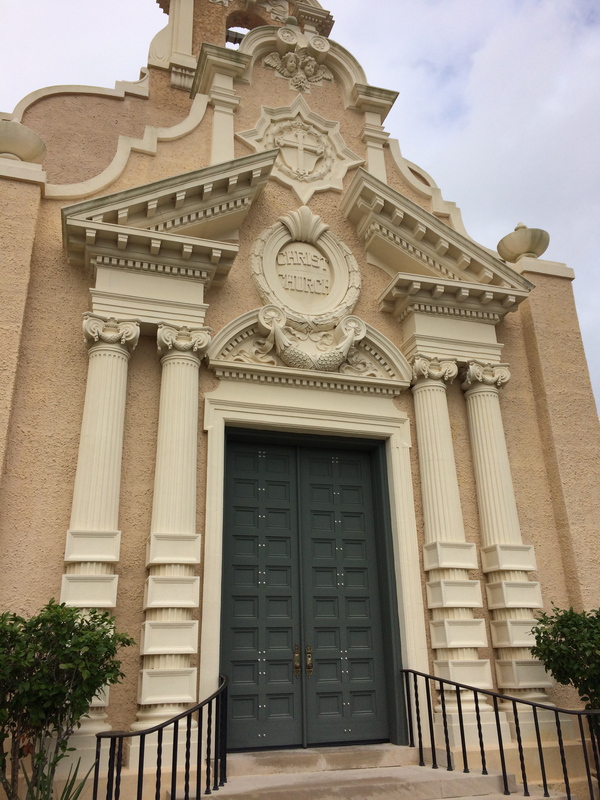 The next stop was at historic Pensacola Hospital, also referred to as Old Sacred Heart Hospital, but now known as Tower East, 1010 North 12th Avenue. 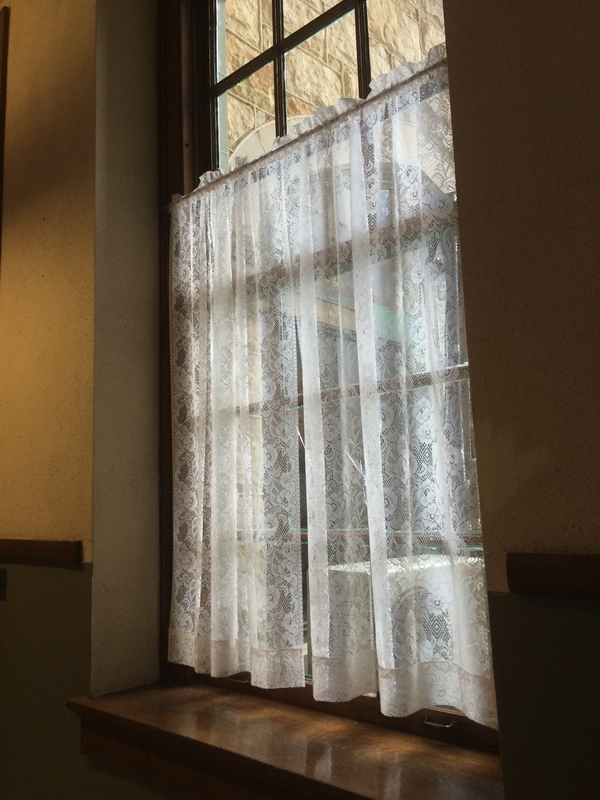 Original casement windows throughout — and in beautiful condition. 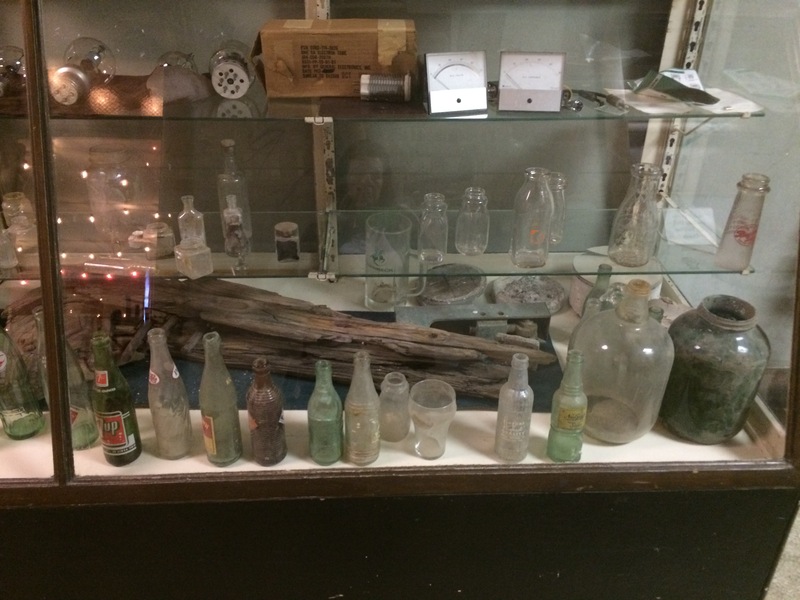 One of several cases of artifacts found while the building has been undergoing renovation. 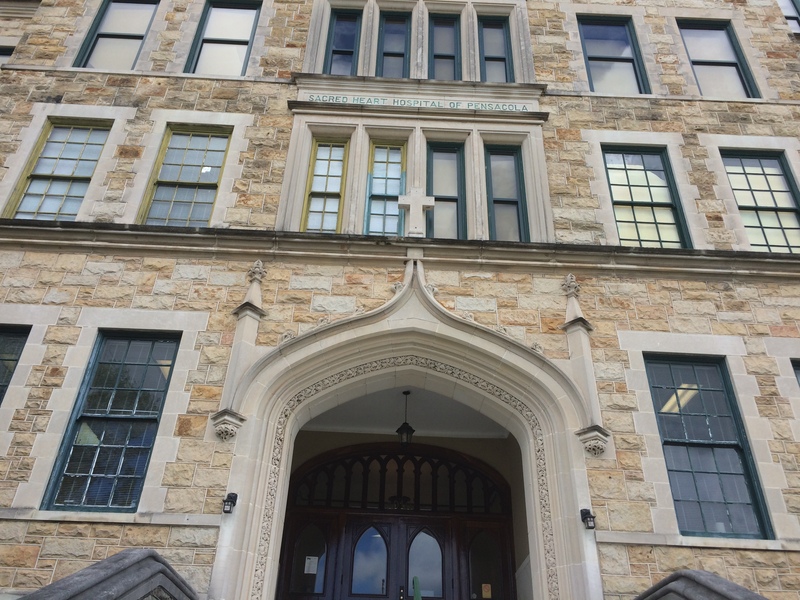 The former hospital is on the National Register of Historic Places, and is open for visitors from 8 am to 5 pm during weekdays. It is owned by the Ritz family (Stephen, Aaron and Michael), three very nice gentlemen who were more than generous with their time, and to allow me to walk through the building and take photos, to get a ‘feel’ for the place. When I introduced myself to Stephen Ritz, I told him that I had obtained copies of historic documents that told the story of how the hospital came together — and the documents revealed some interesting things about the hospital (a few of which they didn’t know), such as the installation of an ’emergency buzzer’ that the Sisters-Nurses used to let in patients after hours, before there was an official ’emergency’ entrance to the hospital. Also, that Emmett was treated in the basement of the hospital, where there were two rooms set aside strictly for the treatment of alcoholics. Aaron Ritz, one of the sons, was interested in that information, as he hadn’t thought patients were kept in the basement. 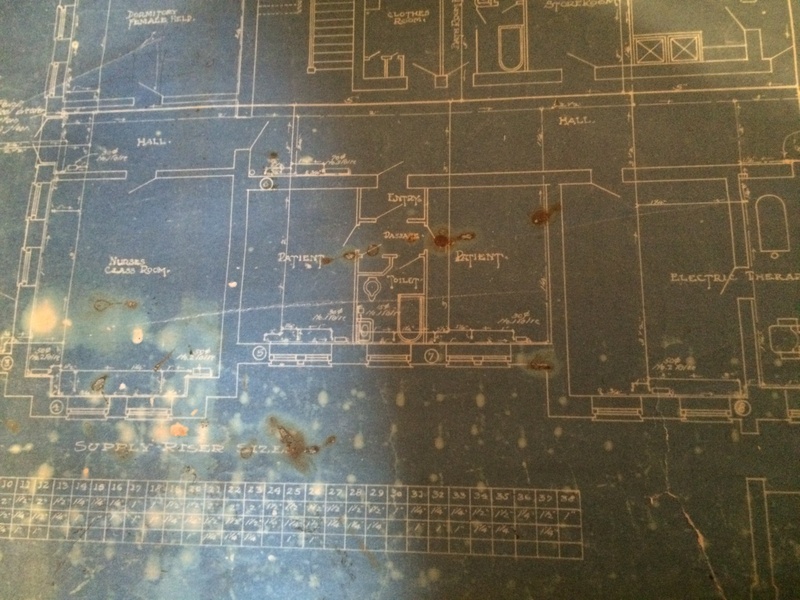 He pulled out the original floor plans for the basement, and sure enough, there were two patient rooms designated. Notice the two patient rooms in the blueprint. 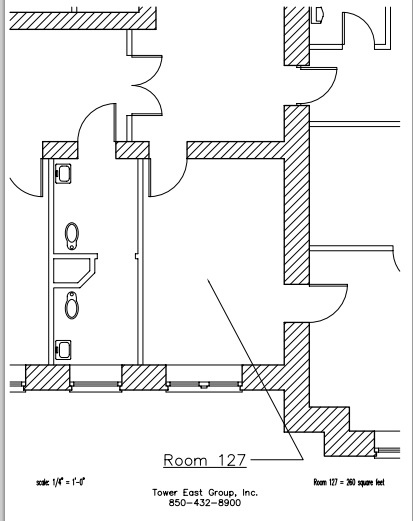 These are the only rooms in the hospital with a designated foyer and private passage, which supports the newspaper report from 1915 where Dr. S.R. Mallory discussed the two hospital rooms in the basement set aside for the treatment of inebriates. Everyone pretty much left me alone to wander about, as I tried to find the room where Emmett died. Of course, there are businesses in the basement now, and the rooms are not the same, but most of the building is intact and unchanged. I think I found the two patient rooms, by the way. One of the former patient rooms reserved for treating inebriates, now Room 127, Tower East, aka historic Pensacola Hospital. This room is available for lease, according to the Tower East website. Source: Tower East Group, Inc. I was unable to get a shot of either of the rooms during my visit, but I did locate a photo (from the Tower East Group’s Facebook page) of Room 125, the former patient room on the left side. The photo of a hair salon tenant. I don’t think the same tenant is in there today. But, if you look at the photos, you get an idea. Original transoms and woodwork on most of the doors and windows in fairly good condition. The terraza floors are unchanged, too. Source: Tower East Office Complex. So, we know he died in one of those rooms. But which one? More will be revealed, I’m sure. This stop was, by far, the most moving. 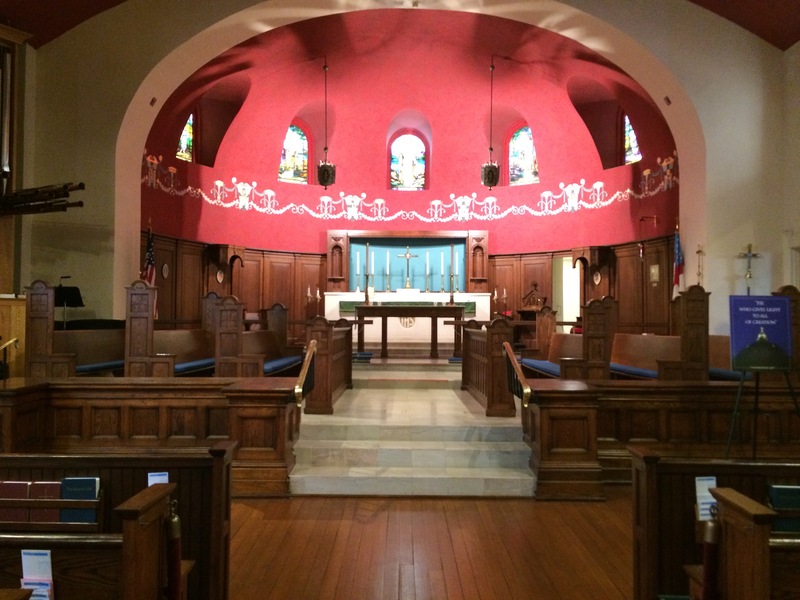 Christ Church was where Emmett’s funeral service was held on Thursday, May 30, 1918. 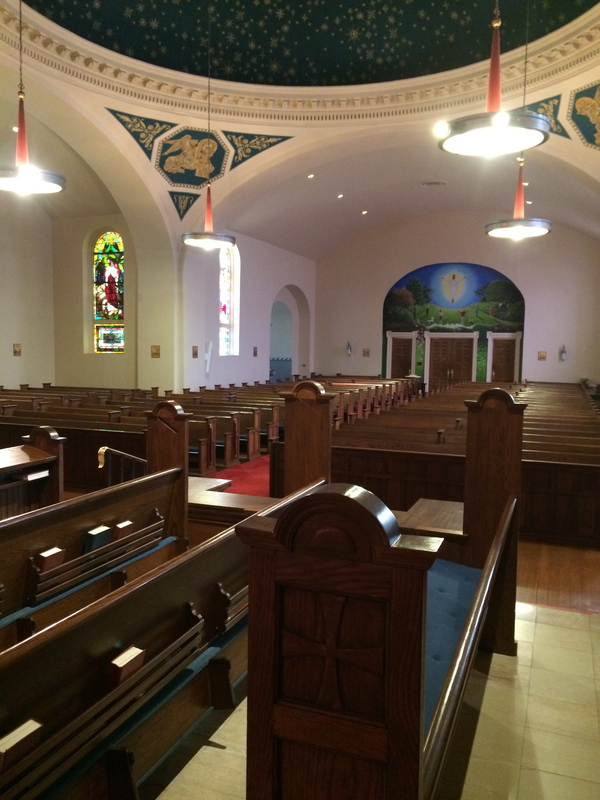 The historic church is mostly unchanged. I let the church secretary know I was in town and would like to visit the sanctuary, if it was convenient. She let me and my friend Nancy in, and left us alone to explore and absorb the experience. It was breathtaking. And when I stood at the place where I knew Emmett’s casket had stood, it just got to me. 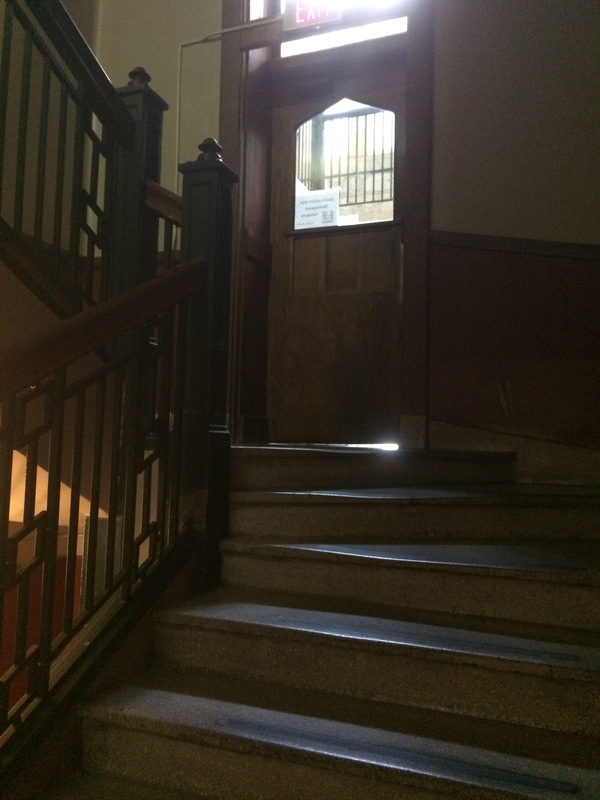 Emmett’s casket would have been placed right before the marble steps, at the center. As I stood exactly where the casket had been placed, I looked up. Stars. Hundreds of them. 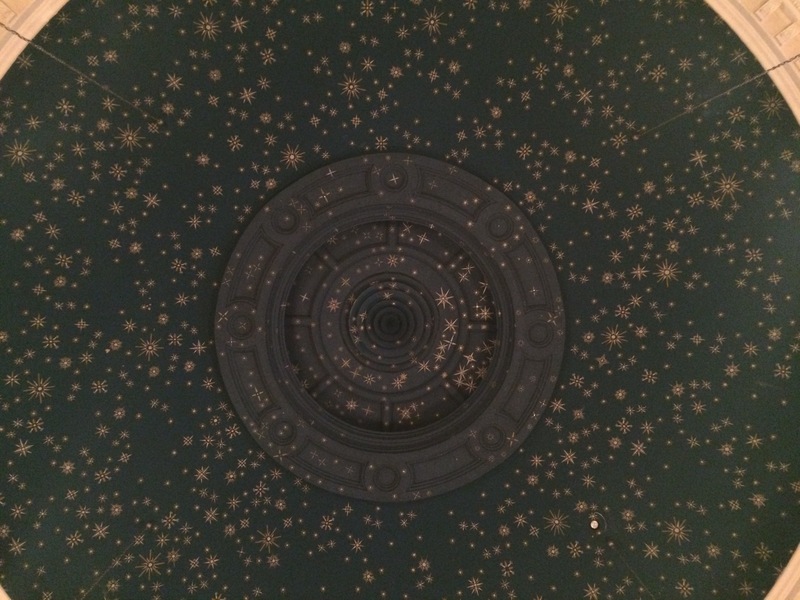 Painted onto the dome of the ceiling. I took a few more photos, thinking, as I did, “Did Emmett look at this during the services he attended? Did he, perhaps, like this window? Did he sit in a specific seat when he attended services? Did he like the organ music? Facing the rear of the church. 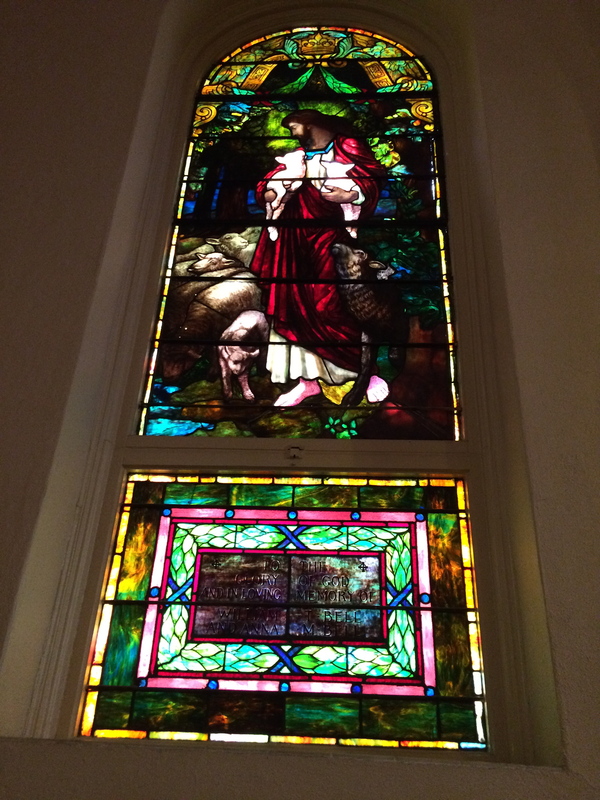 Not a great photo, but a beautifully moving stained glass window. I wonder if Emmett liked it, too. 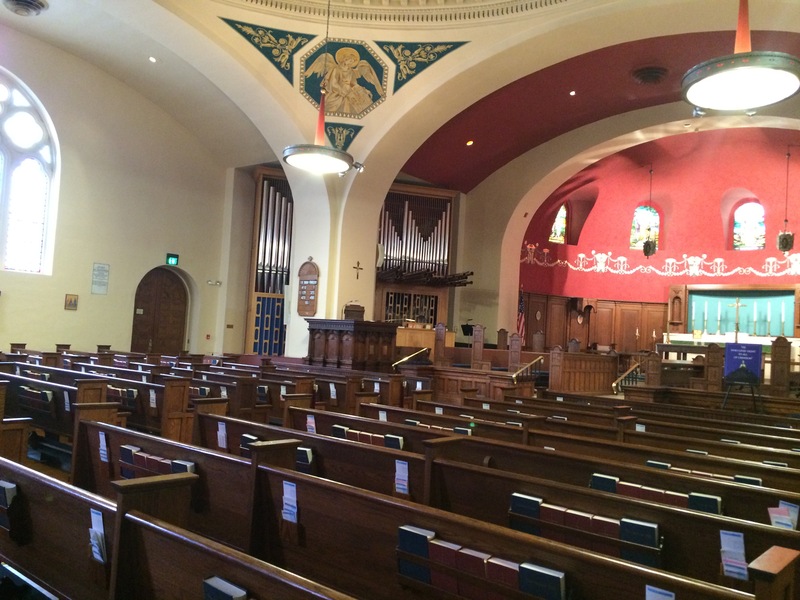 Emmett was a parishoner, but not a regular church-goer. Apparently, that did not matter. The minister, Rev. Johnson, gave a touching eulogy. Emmett’s funeral at Christ Church. I’ve tried to find a copy of the eulogy. The church archivist looked for me, and helped me try to locate Rev. Johnson’s papers (to see if he might have kept a copy), but no luck. I contacted the Episcopal Diocese offices directly, in the event a copy of Emmett’s eulogy was sent there (they often did that if members were former congressmen, governors, and the like), but they didn’t have anything in their archives, either. Rev. Johnson’s eulogy for Emmett may turn up one of these days! More Pensacola trip updates in a few days. Stay tuned.